R&H President Ted Chapin muses on THE SOUND OF MUSIC and the beginning at the end of the Rodgers & Hammerstein partnership. Music dictionaries define ""recapitulation"" as the restatement of an original theme at the end of a piece, after its variations and developments. THE SOUND OF MUSIC proved, in many ways, to be the recapitulation of the Rodgers and Hammerstein collaboration. Statistically, THE SOUND OF MUSIC was Rodgers and Hammerstein's eleventh and final musical. The collaboration between the two then middle-aged men started with a bang. OKLAHOMA! (1943) proved to be a phenomenon and was shortly followed by musicals of comparable artistic success - CAROUSEL ('45), SOUTH PACIFIC ('49) and THE KING AND I ('51). In less than a decade, Rodgers and Hammerstein had provided four of the all-time classical works from the musical theater canon; had their collaboration ended then, they would still be included among the greats. But there were eight more fruitful years before Hammerstein's death. What happened during those eight years? Perhaps they were developing their talents and varying the ""formula."" How? First, by taking an affectionate look back at musical comedy days gone by with their second original show ever. It was a backstage/onstage musical comedy with a host of colorful characters recognizable to the theater crowd. It was called ME AND JULIET and it was a failure. 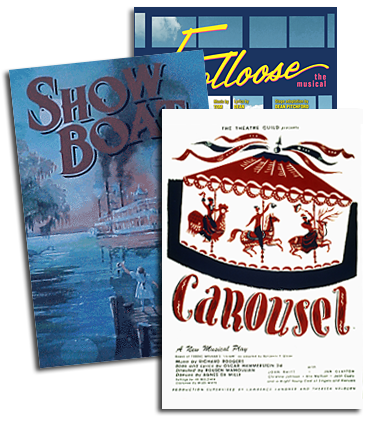 Next was a musical originally to be written by Frank Loesser based on John Steinbeck's Cannery Row sequel Sweet Thursday about a group of gritty characters schooled in the art of survival. The show starred an opera singer who had made a splash in nightclubs. Once PIPE DREAM was mounted, John Steinbeck said that his friends Rodgers and Hammerstein were temperamentally unsuited to his low-life characters. It ran a season. In 1957, CBS Television came calling with a commission for a major television event - a Rodgers and Hammerstein telling of the CINDERELLA story. It was a phenomenon, reaching a viewership totaling more than half of the country's population. That was followed by FLOWER DRUM SONG, a show that was in some ways ahead of its time (it boasted a virtually all-Asian cast) as it dealt with the concerns of assimilation versus tradition in San Francisco's Chinatown. Oscar Hammerstein referred to FLOWER DRUM SONG as their lucky hit. None of these shows is without interest. 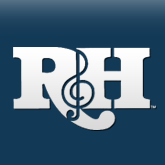 But time has proven that, as a group, they are not up to the popularity of R&H's earlier quartet of classics. Which brings us to recapitulation. As stage lore has it, THE SOUND OF MUSIC came about when Rodgers and Hammerstein were asked to provide a couple of folk song-like numbers for a play about the von Trapp Family. I don't really believe that story - why would anybody go to Rodgers and Hammerstein to write a folk song? Someone (Mary Martin?) had the sense that there was a musical in the story of the von Trapp Family and, even better, a Rodgers and Hammerstein musical. Many of the themes had been touched upon in earlier works - the autocratic disciplinarian, the teacher hired to take care of his children, the subsequent romance of teacher and autocrat, a threat from an outside source that was going to change their lives forever, etc. Happily, though, the palette from which the show was created was sufficiently different in locale and time for it to exist without feeling or sounding like a rehash. No, not a rehash - a recapitulation - and although the opening night critics were not very kind, audiences loved the show and have continued flocking to it ever since. There is also no escaping that, as Oscar Hammerstein's final musical, THE SOUND OF MUSIC is a recapitulation of his life's work: its evocation of simple joys and favorite things, its love of music and nature - even its mountainous setting - can be found in some of his earliest shows. (Take a look at ""There's a Hill Beyond a Hill"" from 1932's MUSIC IN THE AIR and you'll see what I mean.) You can even see the Hammerstein of his Rodgers years bookended with the lines: ""All the sounds of the earth are like music"" - from the opening song of OKLAHOMA! - to ""The hills are alive with the sound of music."" Richard Rodgers had more years in which to contemplate his own recapitulation as composer. He might have been philosophizing for himself when, two years after Hammerstein's death, he wrote this lyric for NO STRINGS: ""The sweetest sounds I'll ever hear/Are still in my head."" But perhaps it is the simple and sad melody he wrote for I REMEMBER MAMA's ""Time"" to the lyric ""Time, time, time - time to let go"" that provided him with his final coda.